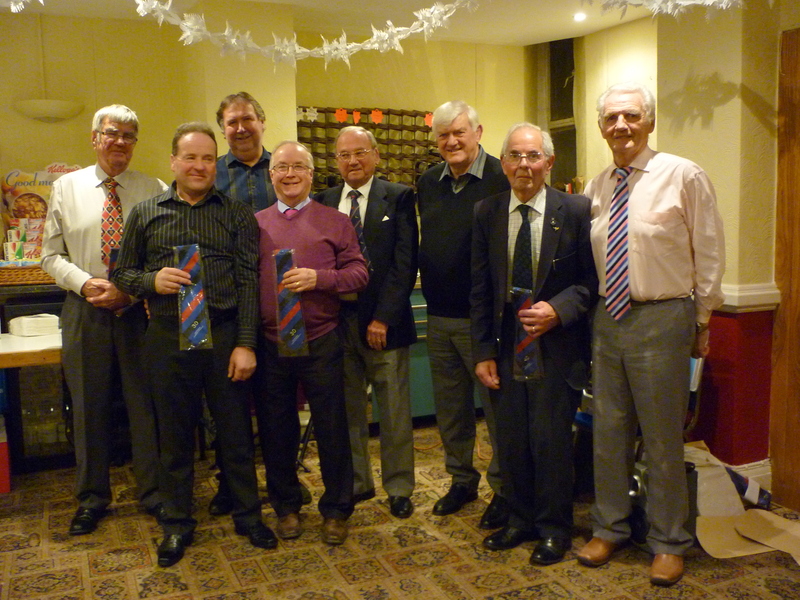 At the annual social evening a select group of choir members were presented with ties and certificates to commemorate their loyal long service to the choir. 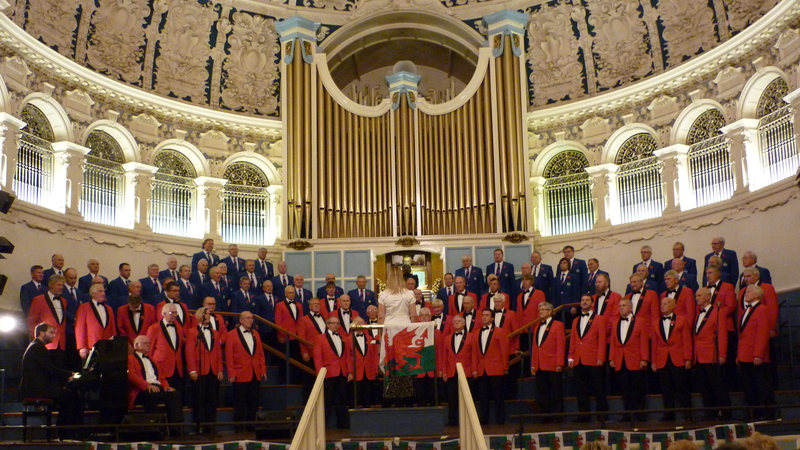 As you can see from the photos and video on this page, the Town Hall at Oxford was a beautiful place to sing as the two choirs combined on stage on November 1st. 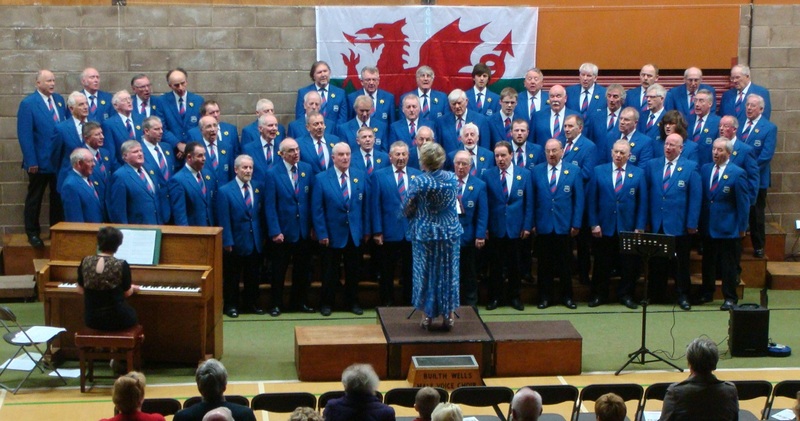 Each choir sang a selection of their own choice of songs and then combined to give a massed choir of 80 voices producing a powerful sound backed by the huge organ which can be seen in the pictures. 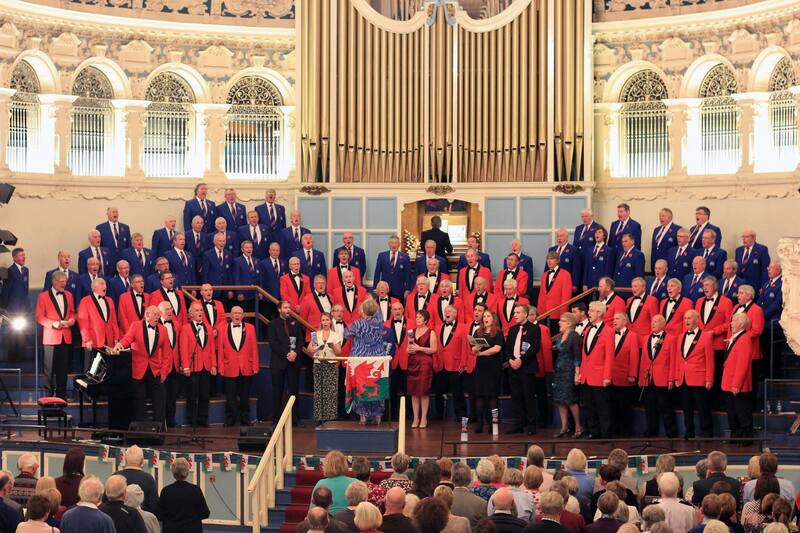 The Oxford Choir’s chairman reported feedback from choir and audience that the this year’s Annual Gala Concert was the “best for many years”. Speaking of the social gathering post-concert he also said that: “The afterglow was a joy and will be talked about for some time”! The choir took the opportunity to do some sight-seeing in the City of Oxford on the morning after the concert and concluded the visit with lunch before returning to Builth on the Sunday evening. Above you can see the highlight of our long weekend in France and Belgium when we sang at the Last Post ceremony at the Menin Gate in Ypres. It was an unforgettable experience as we were part of a ceremony involving massed pipe bands and the Band of the Irish Guards, who were all taking part in a Military Tattoo in Ypres centre that day. 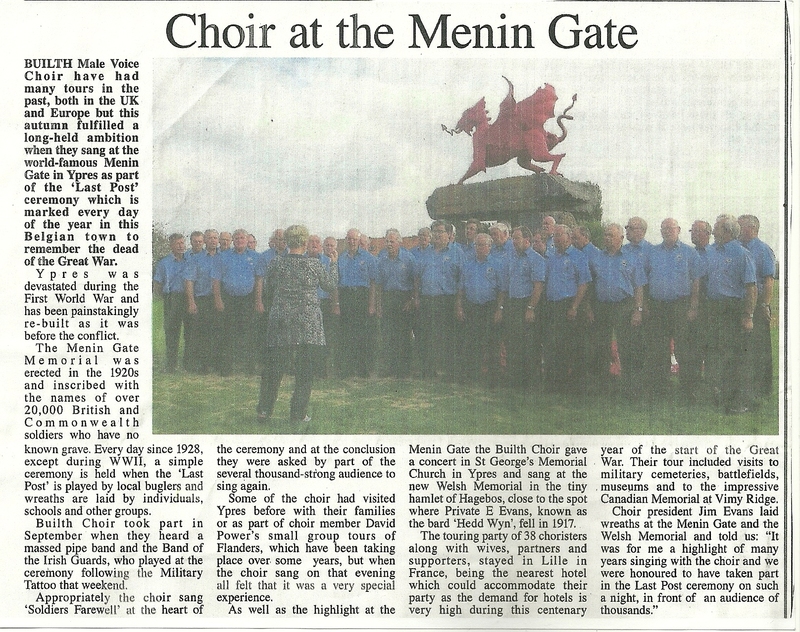 The crowd at the gate was estimated at over 4,000 and some stayed behind to ask the choir to sing again. 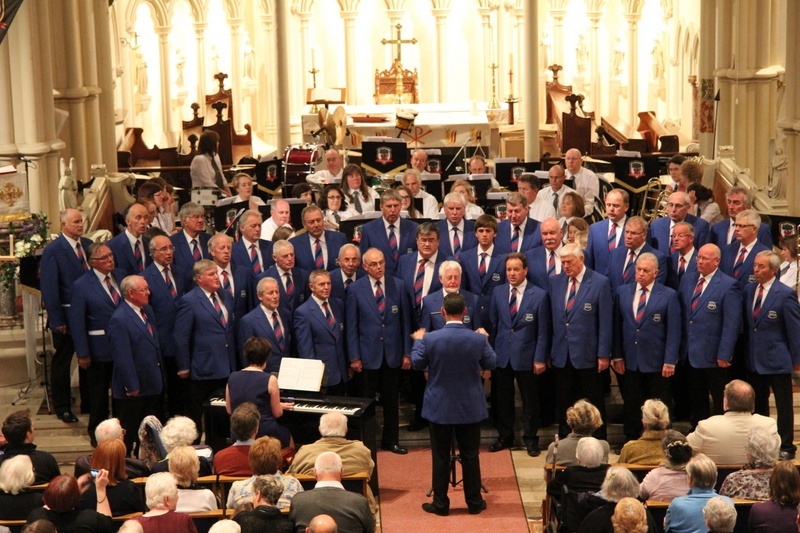 We also gave a concert in St George’s Memorial Church in Ypres as well as visiting battlefields, museums and the beautifully kept cemetery at Tyne Cot, the largest of the Commonwealth War Graves Cemeteries. 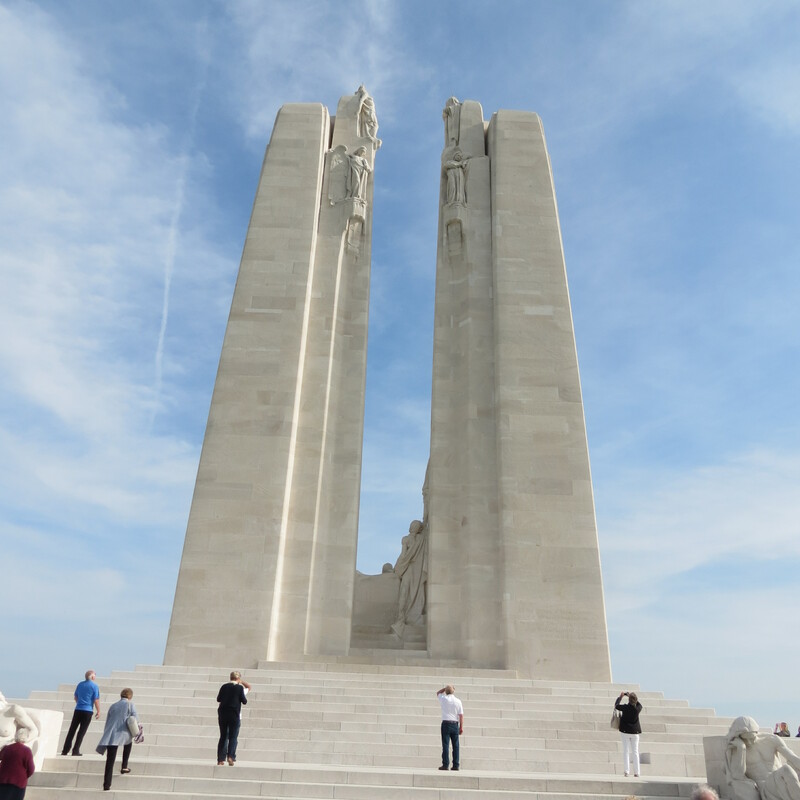 The Vimy Ridge Canadian Memorial was a very impressive sight as it dominates the land for miles around to mark the site of a famous victory and commemorate the fallen Canadians who fought to seize the Ridge from the enemy. The choir spent a morning there at the visitors’ Centre and walking around the trenches and craters which have been preserved where they were in 1917. 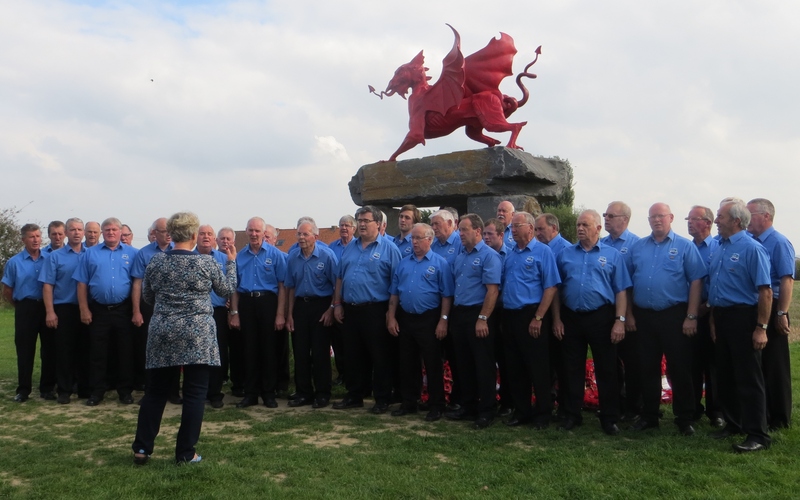 The choir also made pilgrimage to the new Welsh Memorial at Hagebos, north of Ypres and visited the memorial to Hedd Wynn nearby. As Private EH Evans of the Royal Welsh Fusiliers his death occurred in 1917 and he was famously awarded the Bardic Chair posthumously at the next National Eisteddfod. 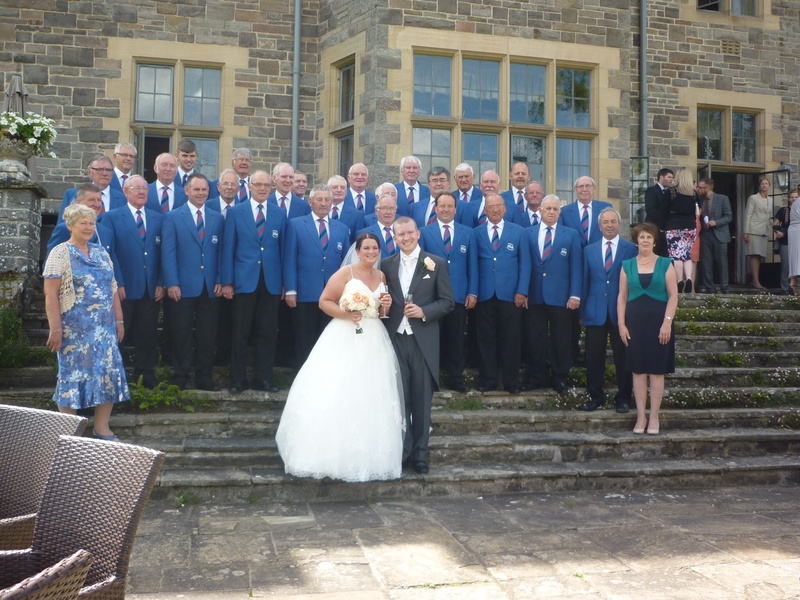 Many thanks to all who took part in the Wedding at Buckland Hall. 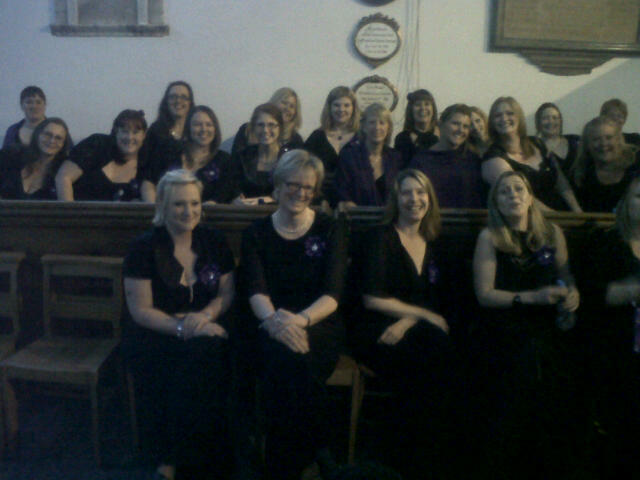 Salisbury Plain Military Wives Choir at the Amesbury Concert. 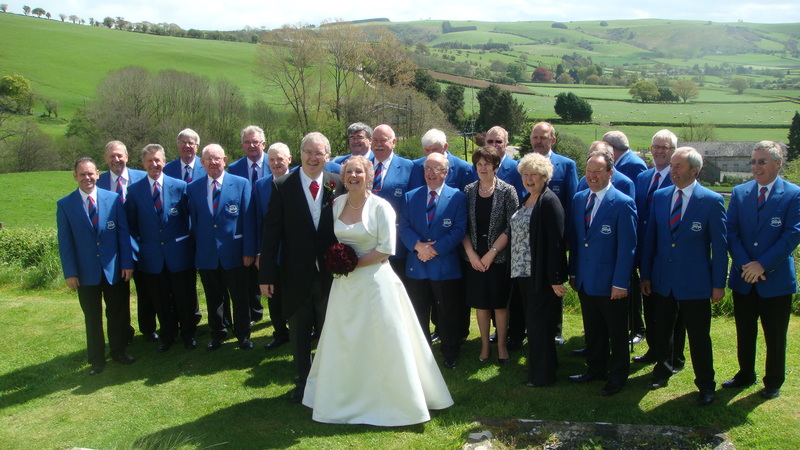 The Choir are pictured above at Marilyn and Doug’s wedding at Pilleth during a rare break in the rain which poured down for most of the rest of the day. 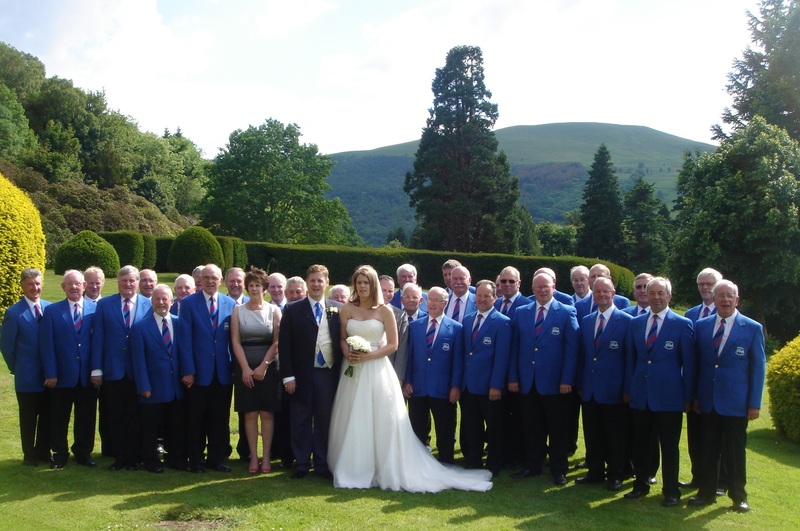 At our second wedding venue in Beulah in the afternoon we saw soaked choristers pushing cars stuck in the mud! 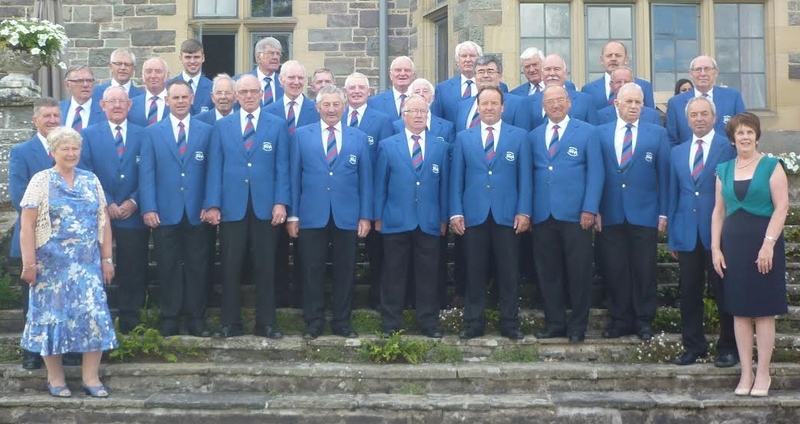 Reaching Out For Radnorshire Campaign, in support of St Michael’s Hospice, has received the public backing of the Choir. 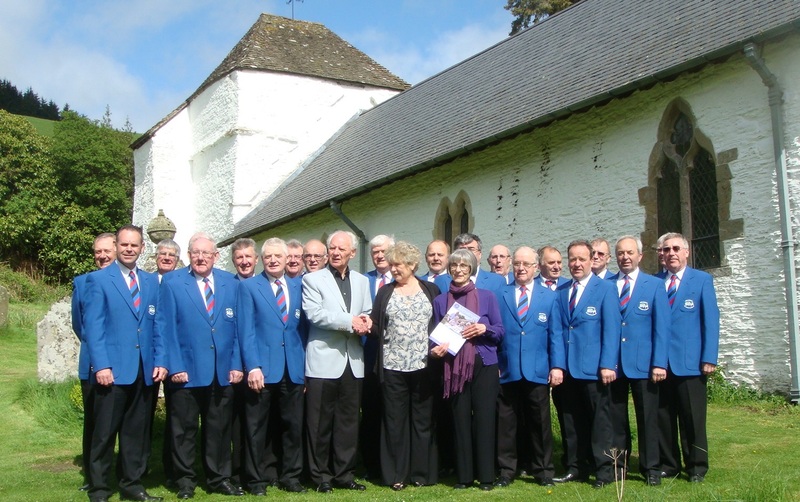 Before the wedding at Pilleth the Choir met with Allan and Angela Lloyd, leaders of the Radnorshire campaign in support of The Hospice at Bartestree. Like Medieval pilgrims visiting the Holy Well at Pilleth, Angela and Allan said that the journey to St Mary’s Church seemed like a pilgrimage into Radnorshire in aid of present and future patients at St Michael’s Hospice. 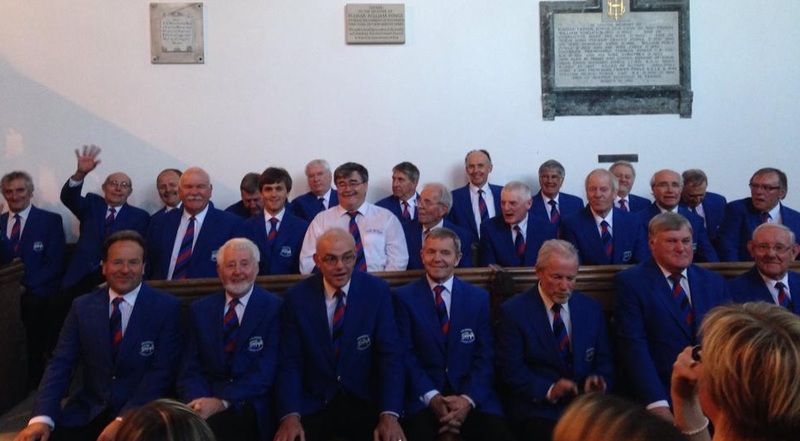 The President and founder member of the Choir, Jim Evans, together with Ian Coldrick the Chairman, personally praised the voluntary campaign initiated by Allan and Angela, and wished them every success stating that they were proud to give them their wholehearted support. 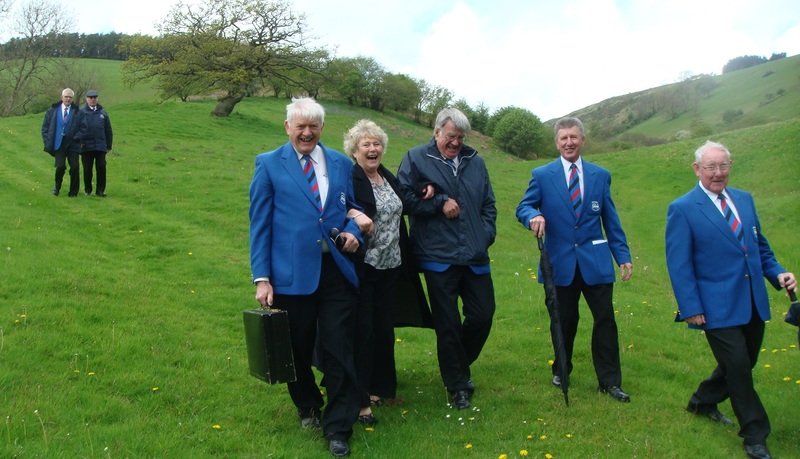 Allan and Angela welcomed by Choir members and Musical Director Luned Jones at St Mary’s Church Pilleth on the slopes of Bryn Glas Hill. The newly-formed group are meeting next Monday for a social get-together and to discuss possible events for the year. All wives, partners, Vice-presidents and ex-choristers are welcome to join this informal group. 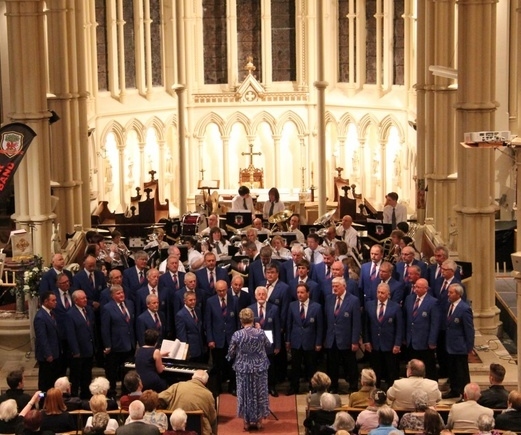 The Choir have confirmed our trip to sing in the Abbey Church Amesbury on Friday 23rd May where we will be joined by the Salisbury Military Wives Choir. 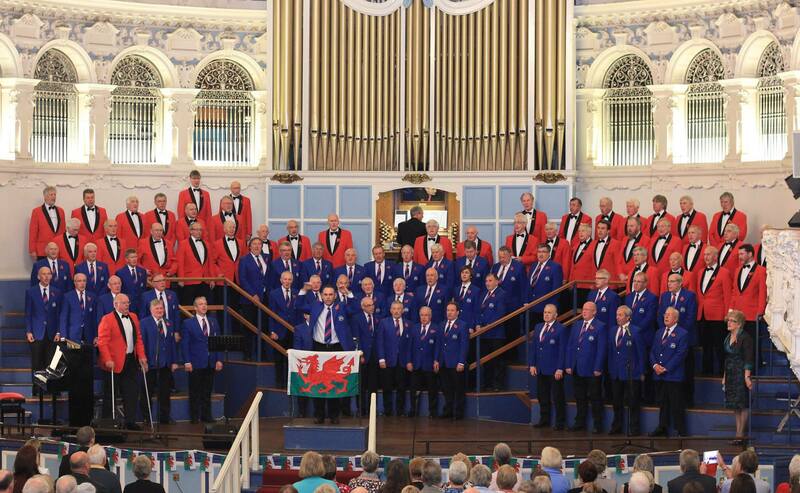 On Saturday 24th the Choir are joined by the Andover Town Band in St Mary’s Church Andover. 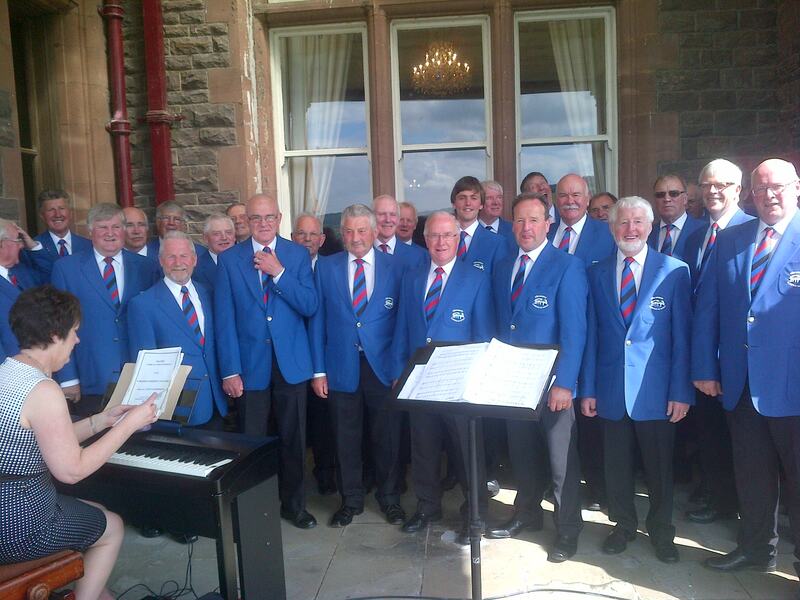 The group will return to Builth on the Sunday 25th. Places are still available on the trip but must be booked soon! Enquiries to Bill Bain on 01982 553397.